I have a sneak peek at one of the new Elevation Polishes that will be released on August 7th, part of the Italian Collection. Continue reading for more information and pictures of this one coat pink polish. This is the most perfectly coordinated trio, so cheers to KB Shimmer on their sixth anniversary in business. 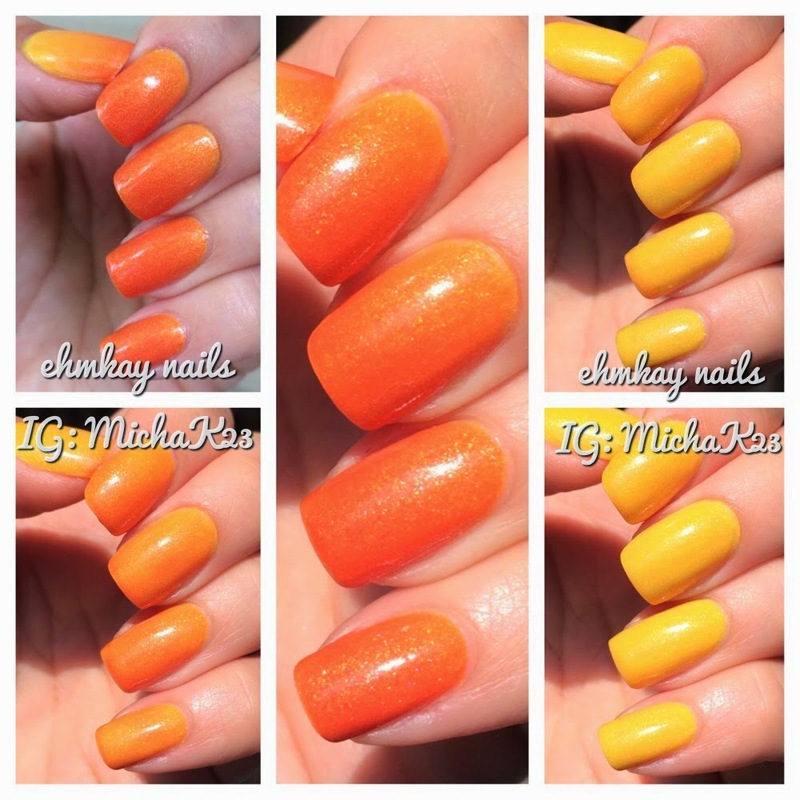 I've used all three polishes and KBShimmer nail vinyls to create this fun skittle manicure. 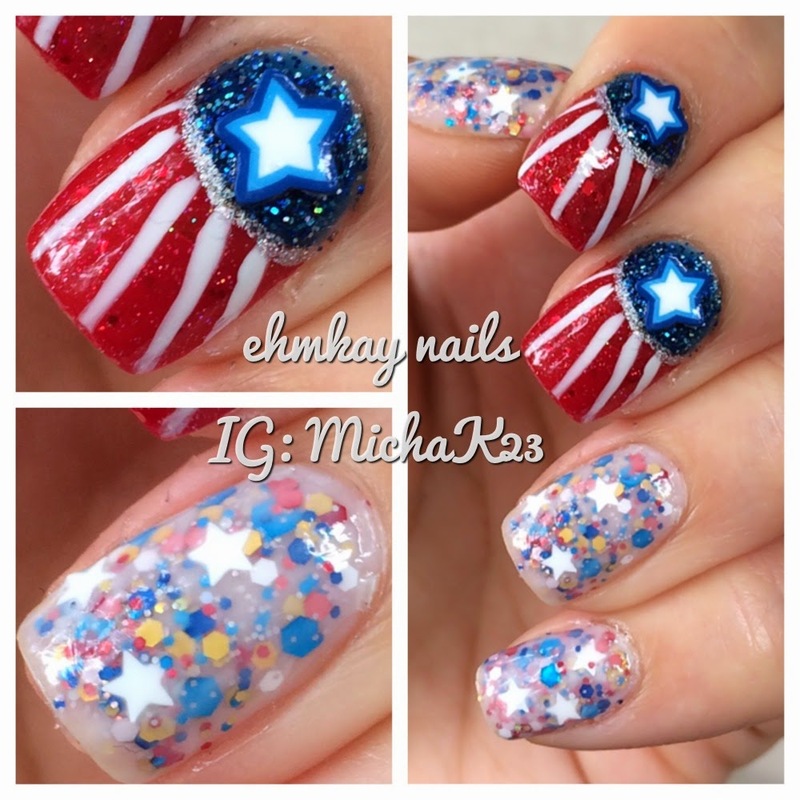 I'll have a few special Cosmoprof exclusive polishes to show you. I hope you don't mind. The great thing about this polish is that is will be available to you for a limited time at the end of July or early August. 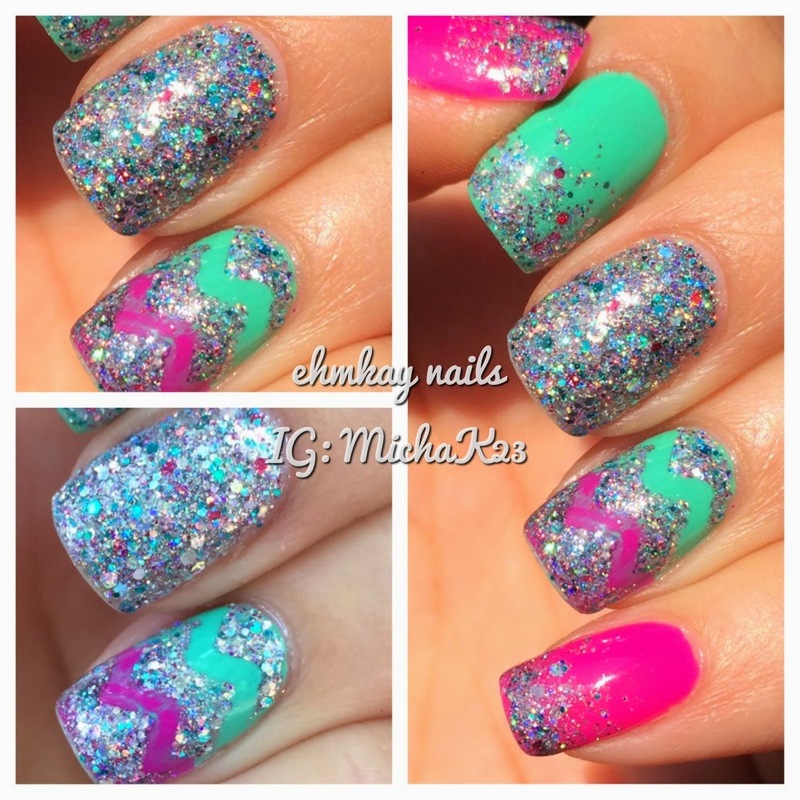 Make sure you check out more photos below of this glowing chameleon polish. Today I have Serum No. 5's anniversary polish, Another Year, Let's Cheer. I met the maker, Victoria, at Cosmoprof 2014 and she is absolutely awesome. Meeting the makers gives me a stronger connection to the brand and makes me want to support them more. She was such a treat to meet. 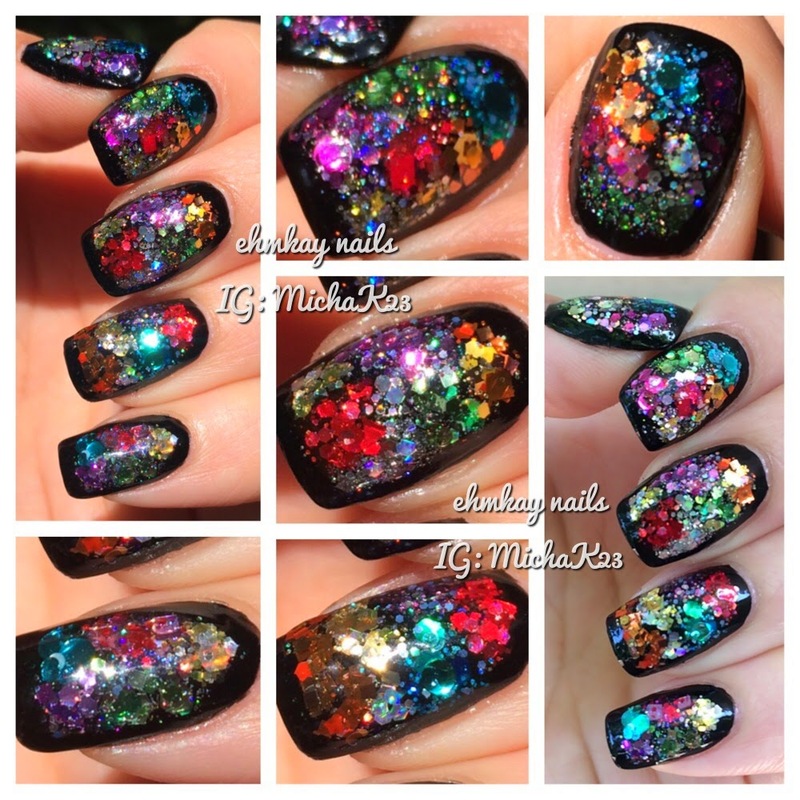 Continue reading for more about this stunning glitter glow in the dark polish. While at Cosmoprof in Las Vegas last weekend, I had the honor to meet Zoya, the namesake of Zoya Nail Polish and Treatments. Zoya is a worldwide known nail polish company that is completely vegan and 5-free. They also have an excellent social media department with awesome promos and they stay really interactive with their customers. 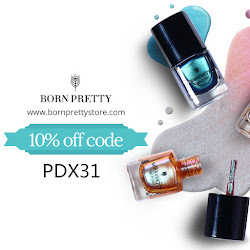 In a sea of nail polish companies, that is something I always appreciate! Here's a simple NOTD. I debated what kind of art to do with this color, but sometimes it's best to keep things as they are. I'm back with more on Cosmoprof. This one will be more condensed look at some of the products I saw. If you are curious about a specific brand, feel free to post on my Facebook wall. So get yourself a drink and snacks and sit back. I'm back from Cosmoprof 2014 in Las Vegas and I'm wasting no time getting up full posts on what I've seen and I'm allowed to show you! I walked around the conference with the lovely Jen from My Nail Polish Obsession. You all know we swap and chat all the time, and I can't even begin to explain how well our friendship has transferred into real life! 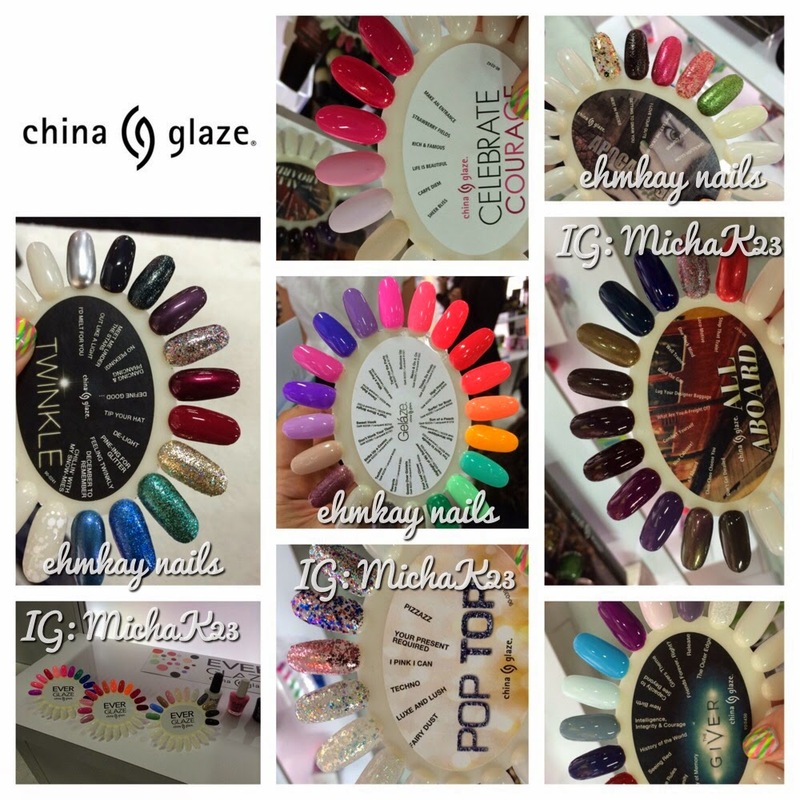 We had an excellent tour with Tori who gave us an in depth look at the rest of China Glaze collections in 2014 and some other brands a part of the China Glaze family (they are a huge company, and they have tons of other brands in the nail care area). So check out the rest of the post for details on these collections. Hi all! Today I am showing you a yellow mani in support of a friend who is going through a hard time. Yellow manicures are super happy, and although I don't wear them often, when I do, I'm reminded that I DO enjoy this color! 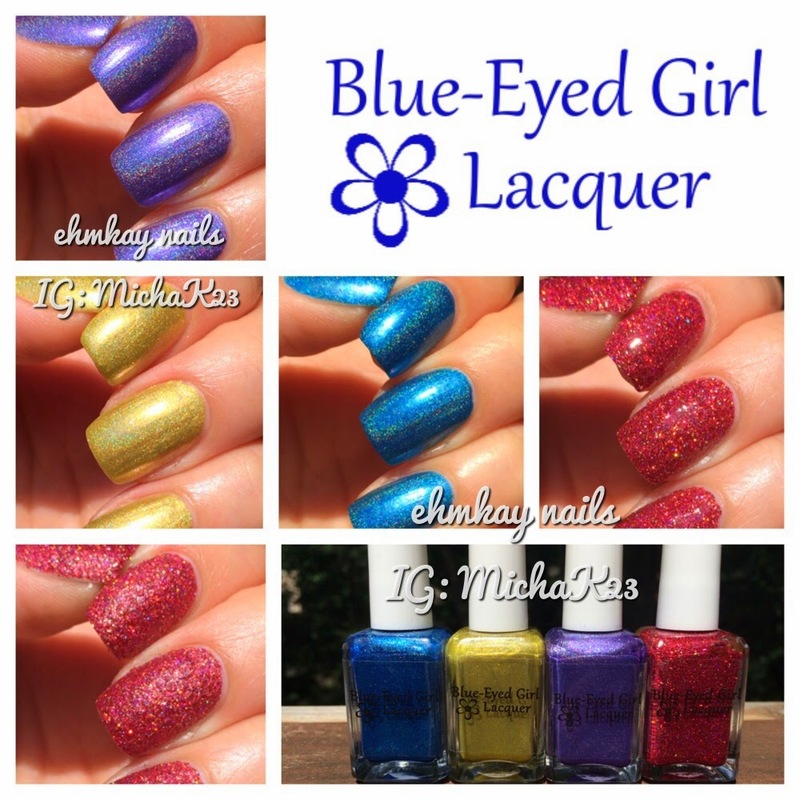 Today I have four of eight of the new Blue-Eyed Girl Lacquer summer collection called Far from the Sun. I mean it when I say I need to pick up the others in this collection. 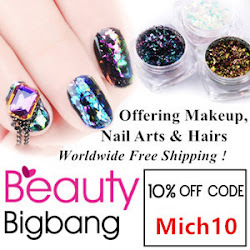 My first experience with BEGL was when she offered to make me a very special polish, and well, the polishes are as amazing as the maker! 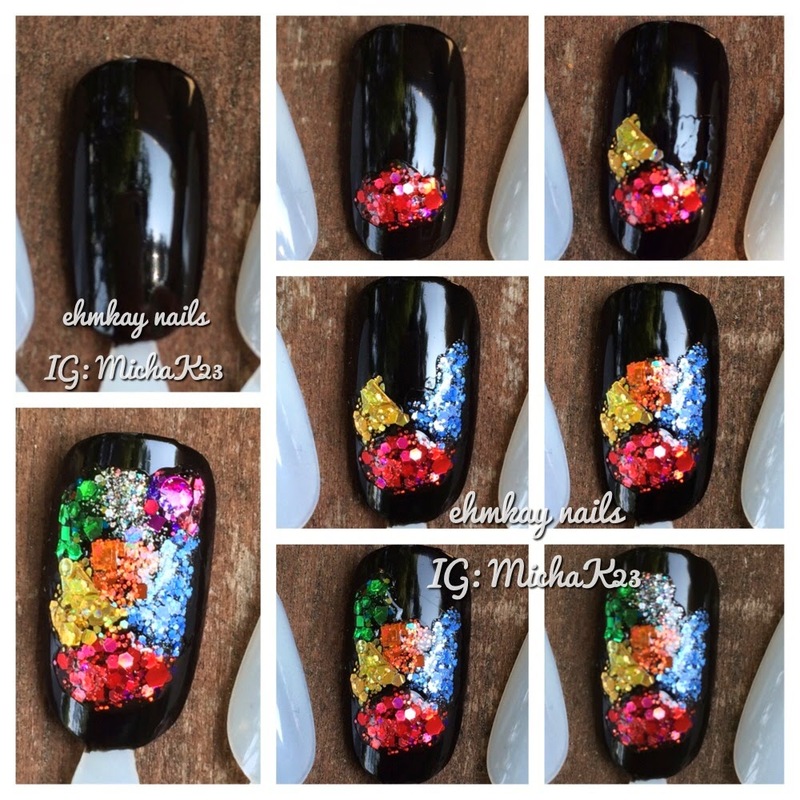 I'm so impressed with these polishes, so keep reading for more pictures of these gorgeous polishes. I'm not very interesting this time around. I have a wedding this weekend so I knew I would be wearing this for one day, so I didn't want to slave over something and then not want to take it off haha. But I still enjoy this design. Hey all! So a few days ago I did a guest post for Cosmetic Sanctuary which you can see HERE and it got an awesome response on her page! I thought I would throw together this (very) quick tutorial. There's not much method! It's super easy but the overall look is a stunner. Check out the rest of the post for more details.